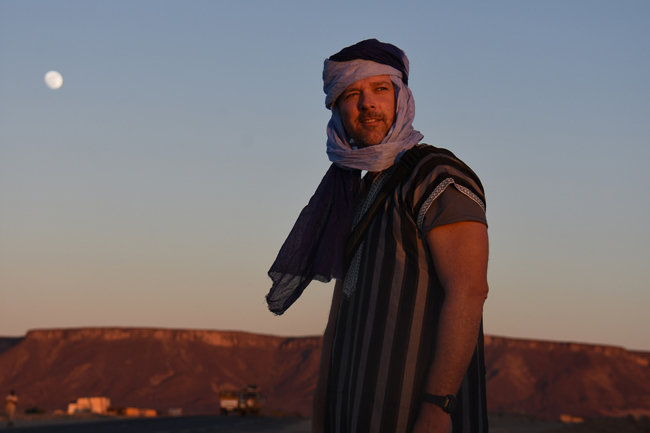 Matthew Allison (on Mauritania’s iron ore train) will take us on his “Adventures Across North Africa” at our March 2019 Charter Chapter meeting. Our next quarterly meeting of the TCC Charter Chapter (Los Angeles/Orange County) will be held on Saturday, March 9, when we travel once more to the waterfront for a gathering at the Newport Beach Yacht Club. Matthew Allison will share his fascinating “Adventures Across North Africa” as well as Mogadishu and Saudi Arabia. Highlights of his journey include a visit to Cairo’s City of the Dead, hitchhiking on the iron ore train across the Sahara in Mauritania, crossing the rebel-controlled “no-man’s land” in Western Sahara, searching for an ancient castle in the Algerian “sand sea,” navigating the dangerous streets of Mogadishu, Somalia and cave exploration in Saudi Arabia. The Newport Beach Yacht Club is located on the mainland just before crossing the bridge to Balboa Island. For easiest access from Pacific Coast Highway (in either direction), turn south onto Bayside Drive and continue to the NBYC, on your right, at the intersection of Jamboree Road. Note: Taking Jamboree south from PCH to Bayside is NOT recommended as an awkward and dangerous right turn and U-turn is required to enter the parking lot. Cost: Members and their guests, $60 per person. Non-members (not guests), $75. Includes wine, soft drinks, tax & tip. Payment: No later than noon Wed. March 6. For late RSVP, call (818) 502-1988 or email to mgsholer@att.net. Mail payment to Coordinator Michael Sholer at 1431 Columbia Drive, Suite 200, Glendale CA 91205-3505 to THIS ADDRESS ONLY! Checks should be made payable to Travelers’ Century Club. Meal Choices: (must pre-order for this meeting): Charbroiled Filet Mignon, Charbroiled Swordfish, Chicken Picatta and Pasta Primavera.